Time for another entry in the Robert Graham Treasurer’s Selection range. 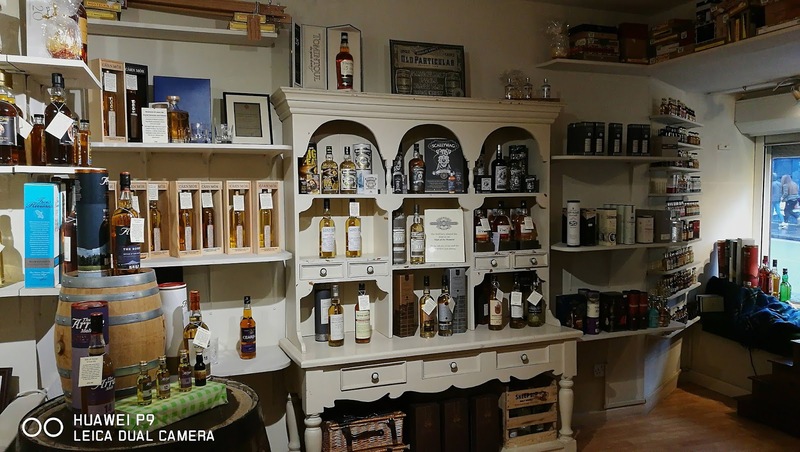 This local independent bottler and retailer offers a wide variety of whiskies from across Scotland in its shops but also finds the time to bottle its own exclusive whiskies. These range from wholesome blended Scotches to the more luxury end of the spectrum. That’s where we find ourselves today with this bottling from their Treasurer’s Selection, which means single cask, a hand numbered bottle, cask strength, unchill filtered and natural colour. A recipe for success and one that enhances any character of the whisky as its been untampered with. Invergordon is the huge grain distillery on the Easter Ross coastline and is owned by Whyte & Mackay. Today it forms the backbone of the many blends that the company produces but its also widely supported by the independent sector who appreciate the qualities of a good grain whisky. 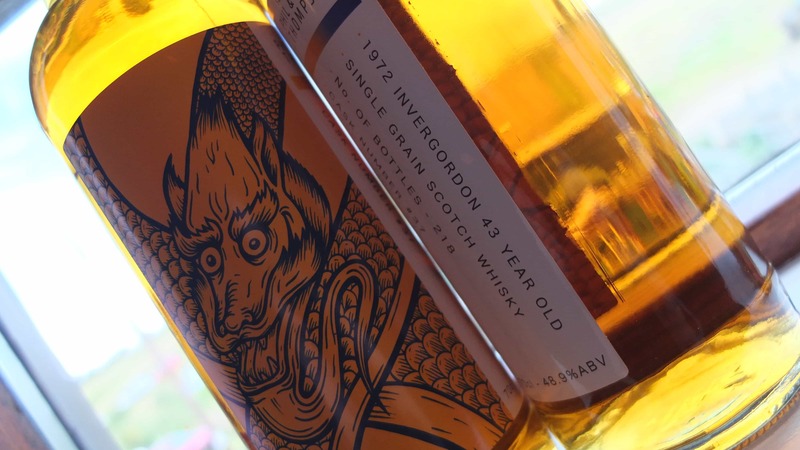 Recently I enjoyed a 43 year old Invergordon bottled for the Dornoch Castle Whisky Bar, and in that article I talked more about the distillery itself. Grain whisky has been overlooked for generations and still remains under appreciated. Yes the Haig Club attempted and failed because it charged a single malt whisky price (£40 upwards) for what was a juvenile grain whisky. Now grain above all things generally (and there are exceptions with great casks) needs time and patience. These things don’t come into shareholders thoughts where its profit that matters and the marketers can twist logic to train and persuade punters. 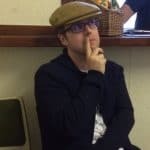 Unfortunately taste matters and brand damage is difficult to overcome as I’ve yet to meet someone that went back for another bottle of Haig Club. 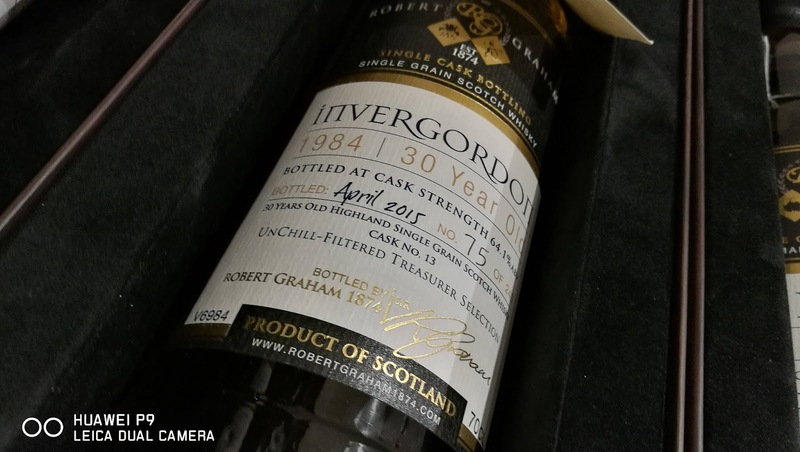 This Invergordon has waited patiently in the cask for 30 years to be bottled at an impressive 64.1%. Resulting in an outturn of 240 bottles, this will set you back around £135 which I think is good value overall. For those interested its available on the Robert Graham website if you cannot make it into one of their branches. I find grains to be a great conversation piece and a whisky that everyone can appreciate regardless of experience. They’re always approachable and layered when they reach such a vintage as this and have a wonderful texture on the palate. Time for the review then! Nose: a sparkling lime soda and pine cones. A zesty arrival! Then a flashback from my childhood that took a while to place – polishing shoes for school with traditional black polish. Crushed almonds, coconut flakes, beeswax and mixed herbs. Taste: oh its the texture that demands your attention initially. Thick and oozing its a joyous thing to experience. In a way it reminds me slightly of a Mezcal as its quite distinctive. A tangy lemon tart, a strong vanilla essence emphasis and those sour rubber sweeties that some enjoy. Overall: this isn’t in the same league as the aforementioned 43 year old but still has plenty to offer at a reasonable price. This grain offers a different tasting experience and continues the strong standard set by the Treasurer’s Selection. Now here is something interesting as you don’t see too many Glen Ord’s bottled independently and that’s a shame. The distillery is a massive player..
Arguably only now is Littlemill appreciated for what can offer as a whisky. Sadly it comes too late as the distillery no longer exists. When Littlemill..